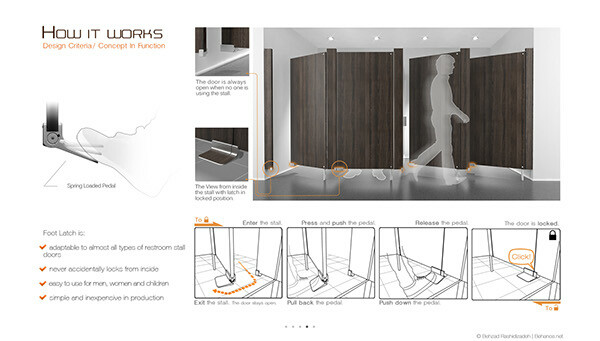 The challenge was to propose a suitable solution for public restroom stall doors that enables the users, at any age and gender, to lock and unlock the stall door without touching it with their hands. The product should be user-friendly, inexpensive, simple to produce, easy to install, durable and resistant to potential vandalism. 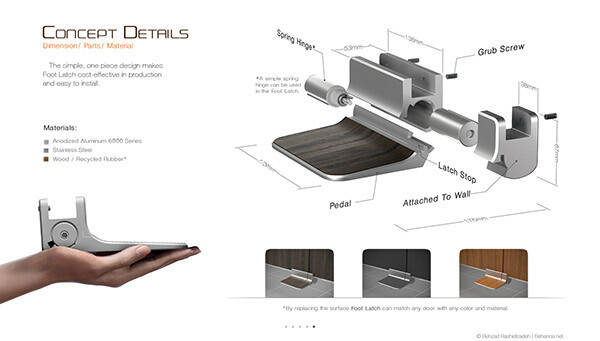 Foot Latch is simple in function, cost-effective in production and easy to install, which makes it affordable for customers. 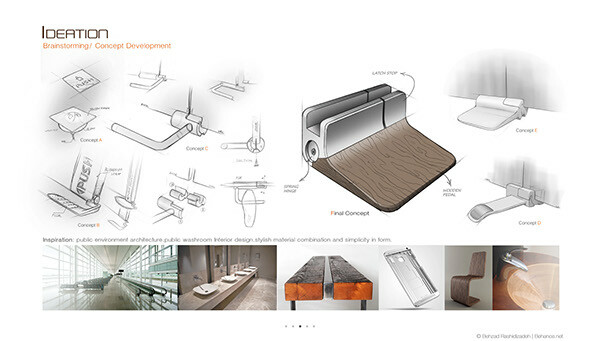 With almost zero competition in this market category, it will create a great opportunity for manufacturer investment. 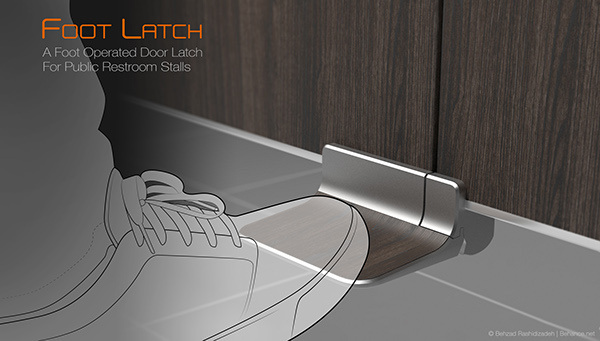 Foot Latch is a foot operated door latch designed for public restroom stalls. 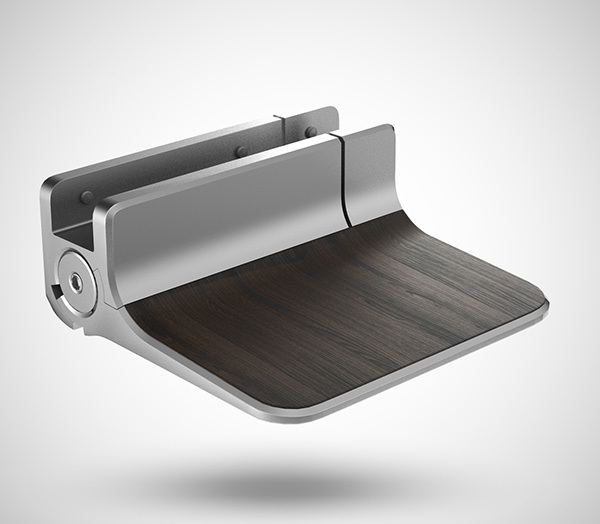 It is a replacement for traditional door latches that reduces the risk of spreading germs and contagious diseases by allowing people to avoid coming in contact with contaminated door latches in public restrooms.